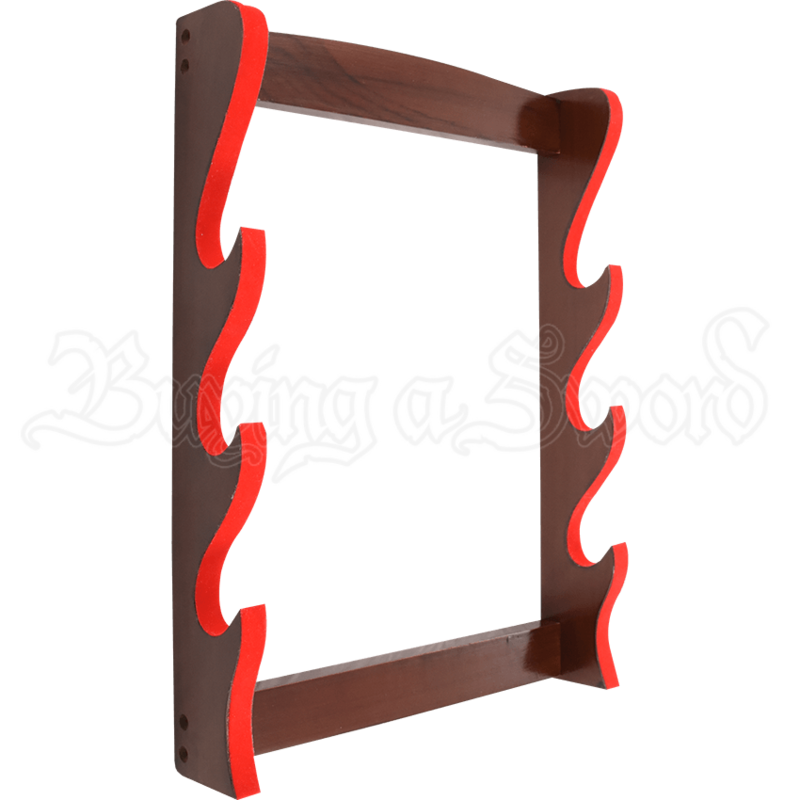 If you need a way to display more than one sword, or you are planning on starting a sword collection, the Three Tier Sword Display is the perfect way to show off your favorite blades, whether mounted to a wall or placed on a table. 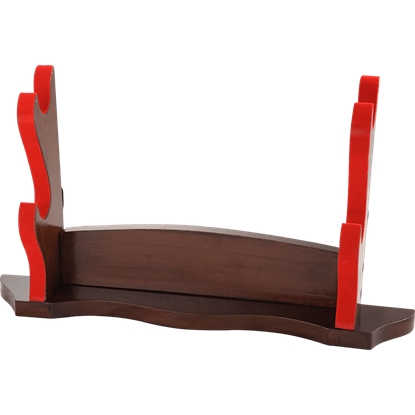 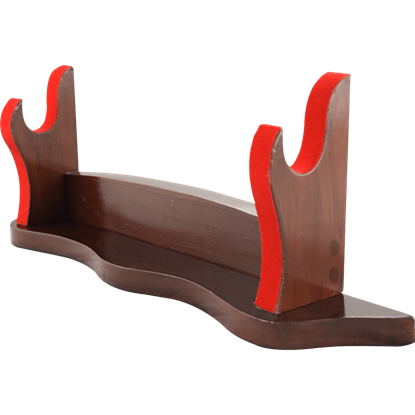 This wooden sword holder features a stylish chestnut-colored finish with bright red felt detail. 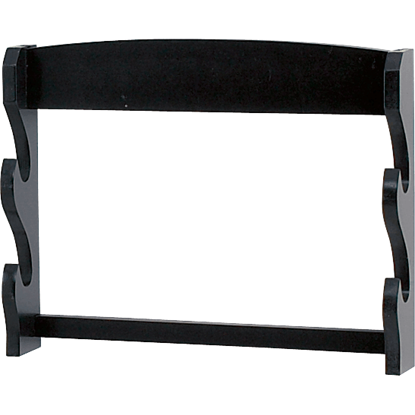 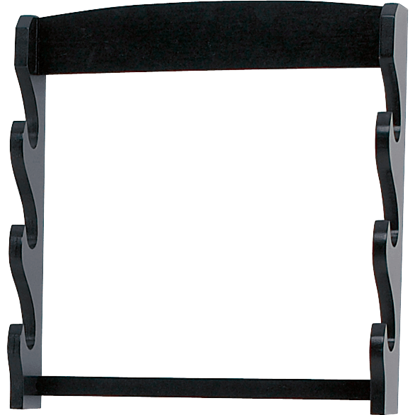 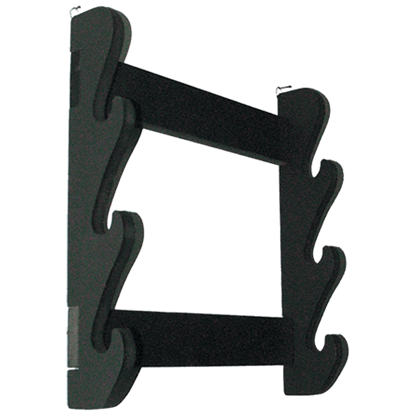 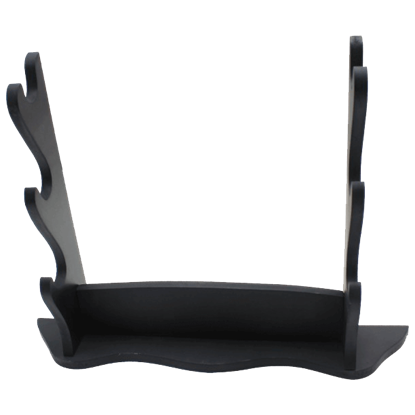 Able to hold up to three swords, the sword holder can stand on its own or can be easily mounted to a wall. 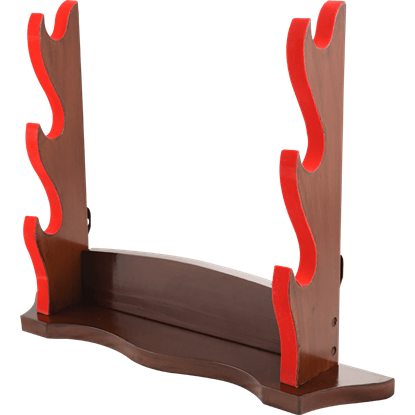 Show off your favorite swords with dignity and pride when you reveal them in the Three Tier Sword Display. 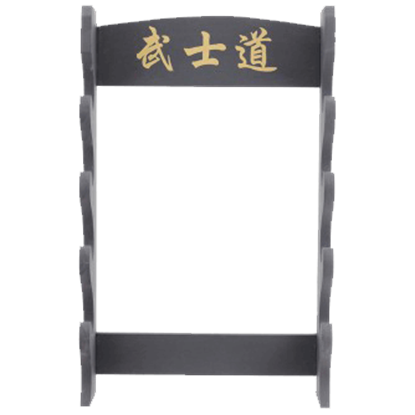 A samurai was expected to uphold the moral code of honor, loyalty, and humility known as bushido, even during times of peace. As a firm reminder, many such warriors would mount their blades on the Samurai Bushido Four Sword Wall Rack!